This versatile camping companion is quality tempered steel construction with a rubber grip. 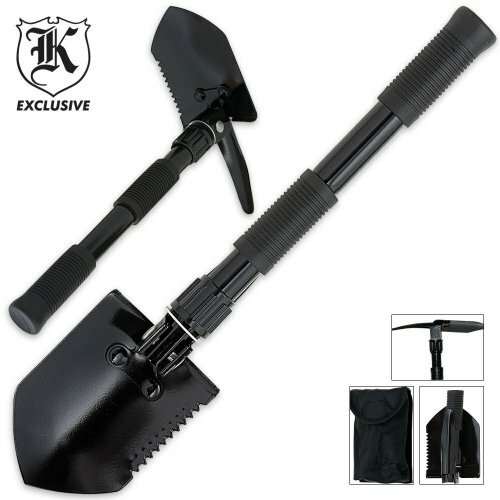 The versatility of a shovel and a dibble pick--this piece also folds into a compact size and includes nylon carrying pouch for lightweight transport. If you have any questions about this product by Knife-Kingdom, contact us by completing and submitting the form below. If you are looking for a specif part number, please include it with your message.